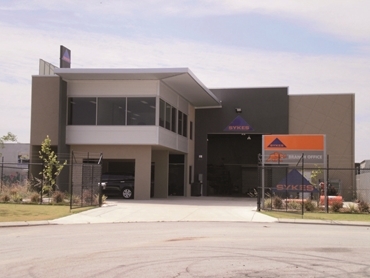 As Sykes Group continues its growth by supplying more pumping equipment into the Western Australian mining sector, the need to keep pace has seen a requirement for larger premises. The new premises at 14 Glyde Court Malaga Perth, has increased floor space to cater for all facets of Sykes business. Increased office space to accommodate sales and projects, larger stores area spares and pump stock holding and a larger workshop area to ensure after sales service and product support remain a high priority. With the extra capacity Sykes can continue to grow and support its many customers with pumping solutions.